Short pastas work best in pasta salad. Try penne, rotini, shells, wagon wheels or whatever else you keep on hand. 6-7 ounces of uncooked pasta will yield 4 cups of cooked pasta and serve 4-6 people. Always follow package directions to cook pasta al dente, which means tender but firm to the bite. Unless specified, do no rinse pasta after draining or sauces won’t cling. Sometimes pasta is rinsed for cold salads, so follow your recipe. Chilling in the fridge makes your pasta salad even better as it allows the flavors to develop. Follow the chill time specified in your recipe. To give your pasta salad an extra bright zing, add a sprinkle of chopped, fresh herbs before serving. 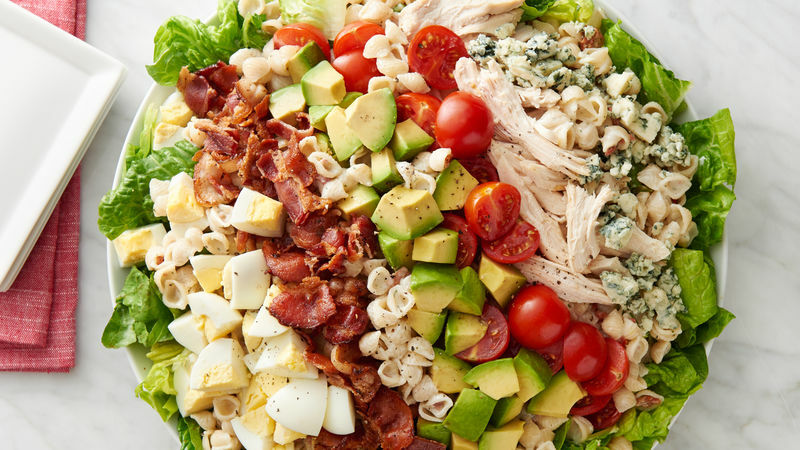 Many more pasta salad recipes await you!